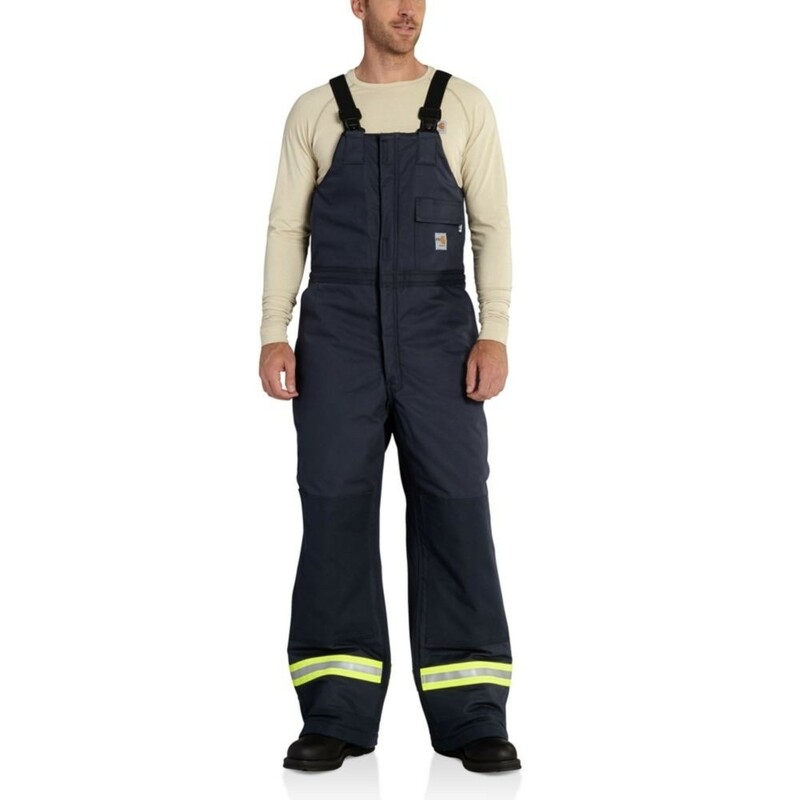 Extremes® is Carhartt's toughest line of gear that's designed to provide the warmth, durability, and coverage in the most rugged corners of the Earth. 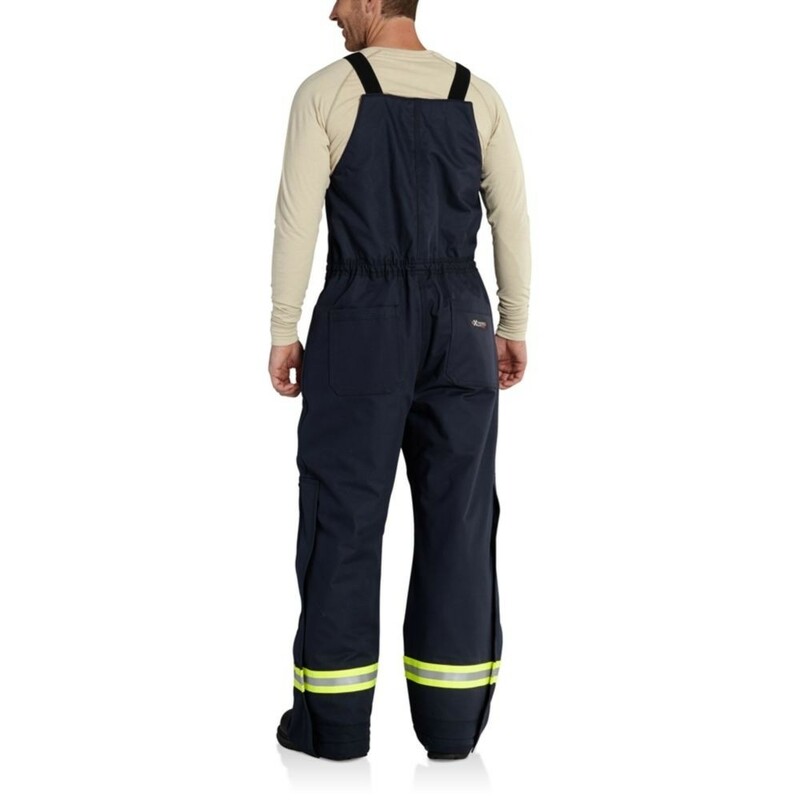 Constructed with 1,000 Denier Condura® nylon, it features arctic-weight polyester insulation. 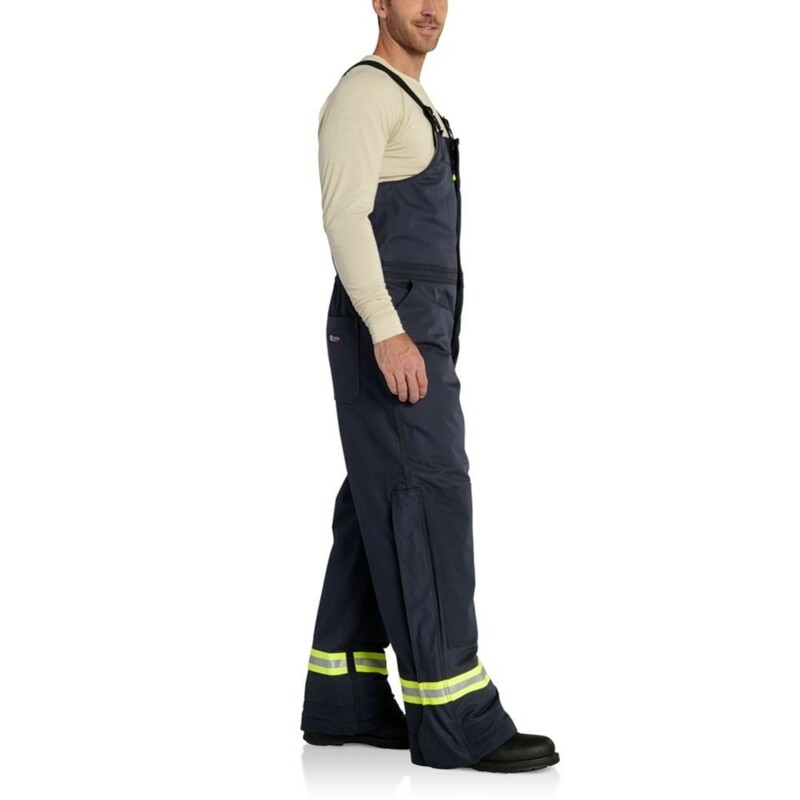 Bulk free and easy moving, this biberall is a technological tour de force with Wind Fighter® technology that tames the wind, 3M™ Thinsulate™ 200-gram Platinum Insulation for warmth, storm flaps, insulated pockets, double knee with cleanout bottoms that can accommodate knee pads, and a heavy duty two-way zipper with Nomex® FR zipper tape. Punch the weather in the mouth. • Wind Fighter™: Don't let a blustery day stop you from getting the job done. 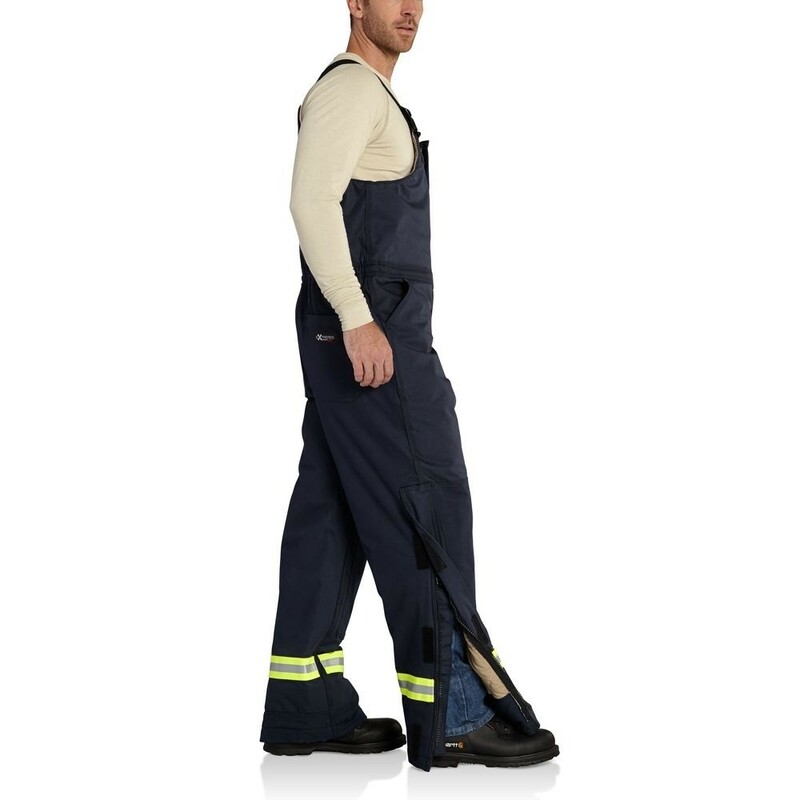 Carhartt Wind Fighter™ cuts through wind by busting gusts and leaving workloads in the dust.